What If These Players Played For Their Hometown Team? Key players: Klay Thompson, Russell Westbrook, and DeMar DeRozen. First and foremost, those three key players aren’t even all this Los Angeles team would have to offer, but they are the most important. In the real NBA, the Clippers have never won a championship nor have they even made it to the Finals. That would surely change if you add Westbrook and DeRozen to the mix. An MVP and one of the best shooters in league history isn’t that bad. They would also have the huge Lopez twins as their big men ready to protect the basket. The Houston Rockets would also be another one of the better teams in a hometown universe. 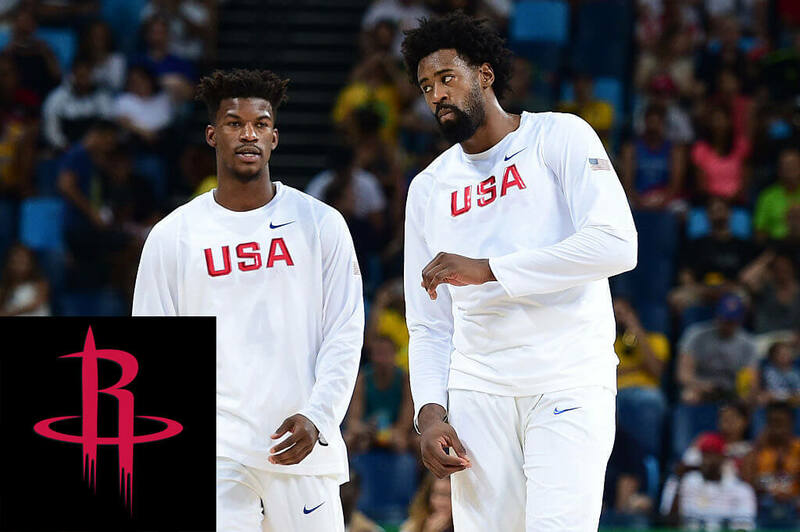 The presence of Butler and Jordan would automatically make anyone else on the team elevate their game. They would have some help from the likes of Gerald Green and up and coming talent Justice Winslow. The defense would be immaculate with this team, but they would be lacking on the offensive side of things. Still, playing against them wouldn’t be easy. This much different Golden State Warrior team would be interesting to watch. Of course, not as exciting as the current Warriors but they would still be worth the money spent. 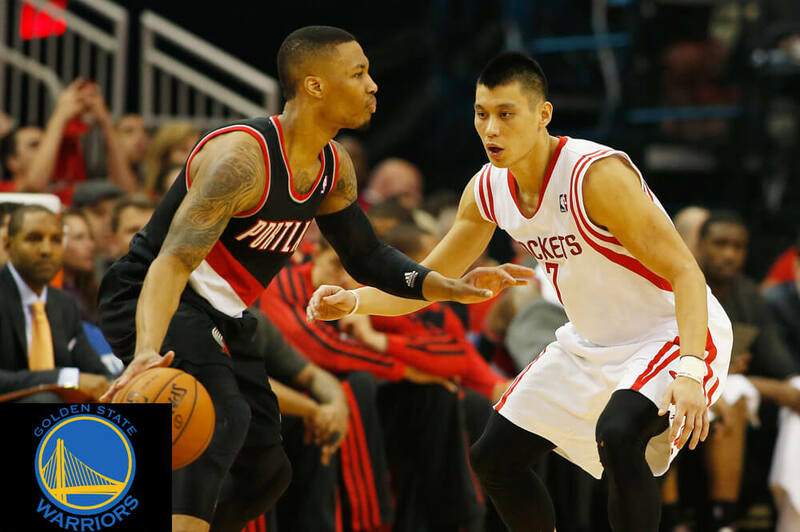 Lillard and Lin alone make an intriguing guard combo. While Gordon is no Kevin Durant, he still is in the top three in the NBA as far as leaping ability goes. So while Lillard and Lin shoot long three pointers, Gordon will be the one making fancy slam dunks. 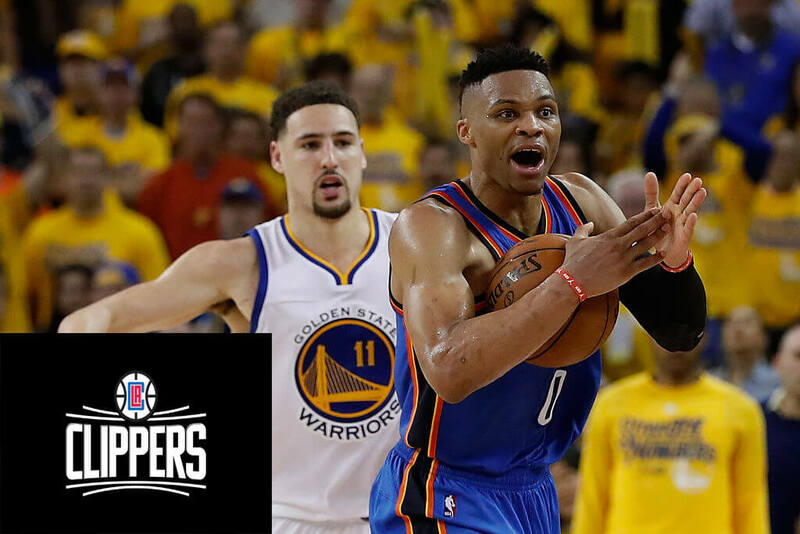 The Knicks are similar to the Clippers because both teams have other teams in the same city (Nets and Lakers who we will get to later). 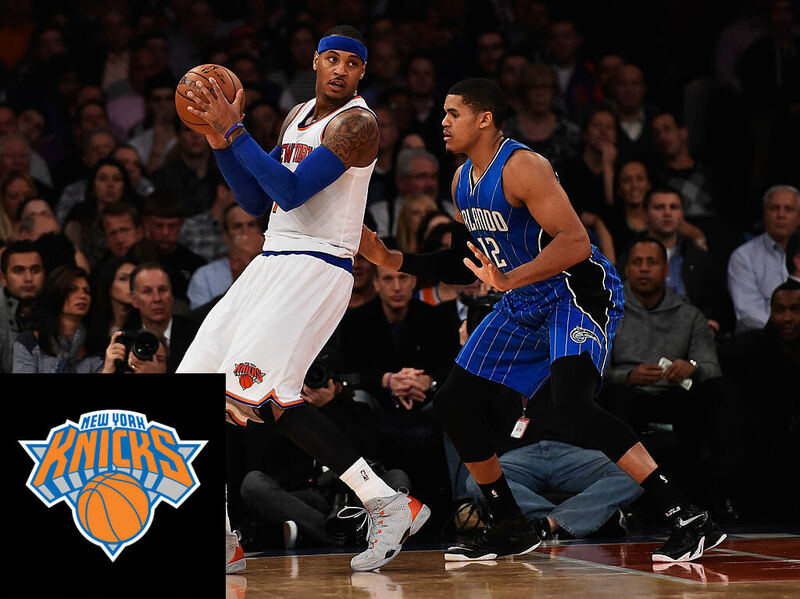 Starting with the Knicks, they’ll get Anthony to suit back up for them and Harris. Anthony is getting older so he is far from the efficient scorer he used to be, but Harris is still quite young and full of defense. They would also have sharp shooter Danny Green launching up three pointers with no effort. 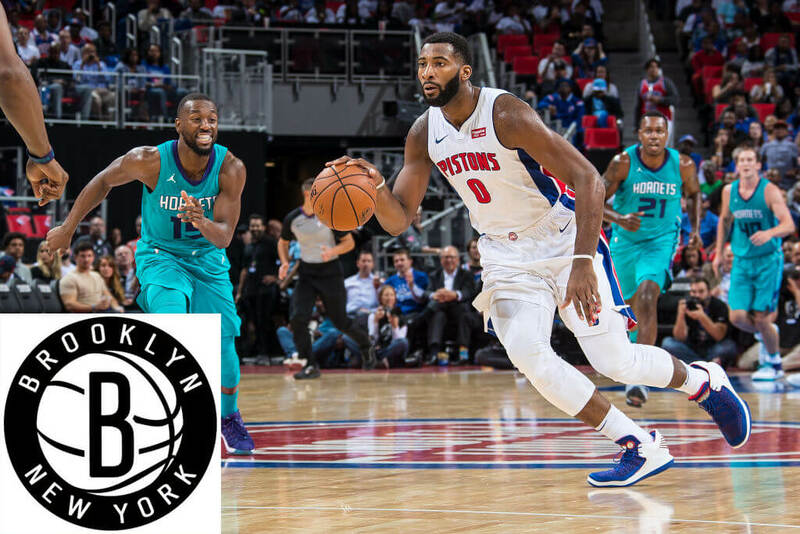 Overall, the team wouldn’t be too bad, but would the Brooklyn Nets be better? 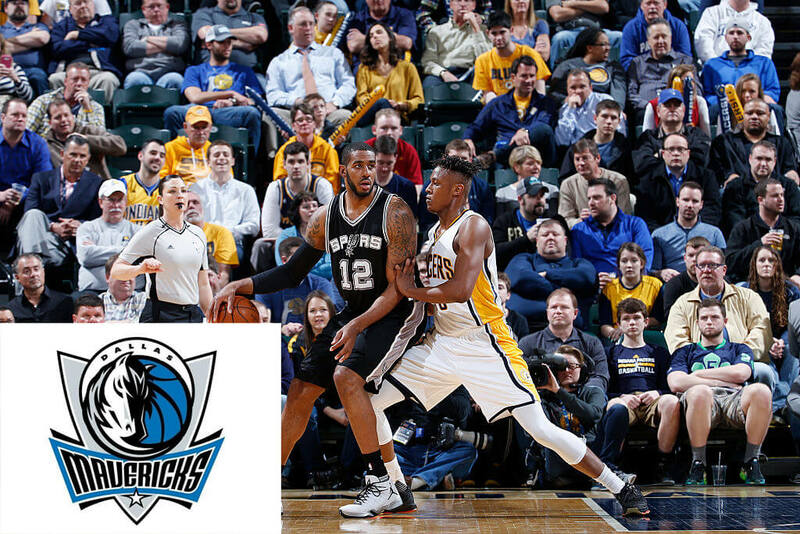 The Dallas Mavericks would take tough interior to new heights. Aldridge (left), and Turner (right) are both already formidable big men but tossing in Randle takes it over the top. Nobody would want to take it to the basket with those tough guys waiting on you. Currently, the Mavericks are in a rebuilding period so they would love if this were real. At the Mavericks current state, they aren’t competing for a championship. If they had these hometown players, that would certainly change. 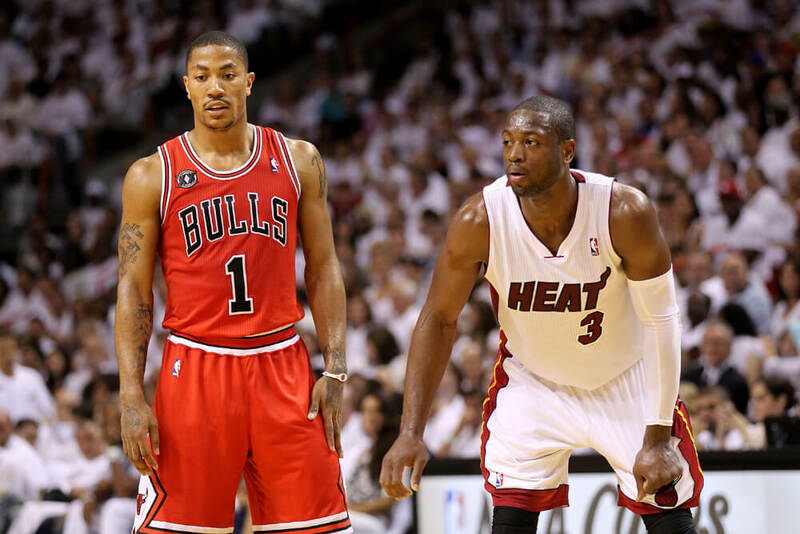 Ironically enough, Derrick Rose and Dwayne Wade have played for their hometown teams already. Rose was drafted by the Bulls while Wade was traded there a few years ago. Jabari Parker is the latest player to play for his hometown Chicago. Those three plus Anthony Davis and throw in Jahlil Okafor; you’re in for a rough night playing against that. A former MVP, a Finals MVP and Olympians all on the same team. Bulls fans probably wish this were real. The Los Angeles area has some of the best talent in the NBA. You saw who the Clippers would have and we didn’t even mention everyone. 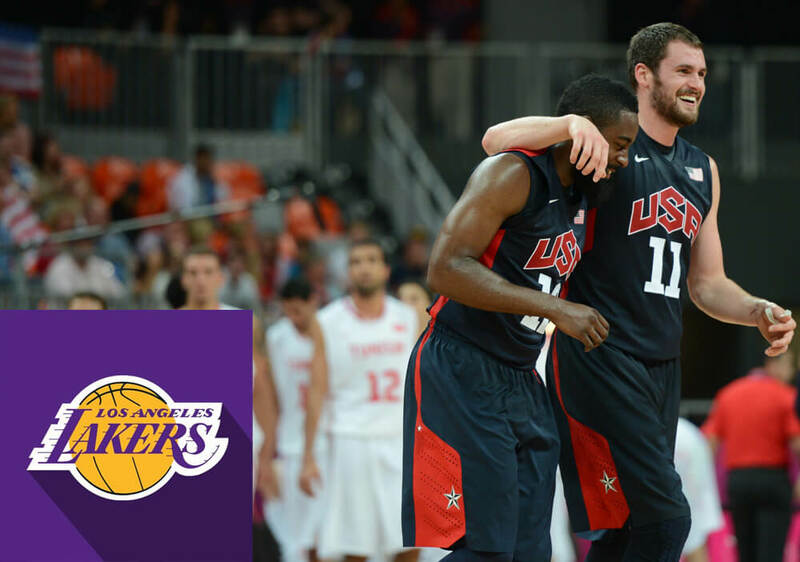 The Lakers team would bolster some top talent as well. Outside of the names already mentioned, Paul George and Lonzo Ball are a few others who would be here. From this point, it would really be a toss up on who is the better Los Angeles team. 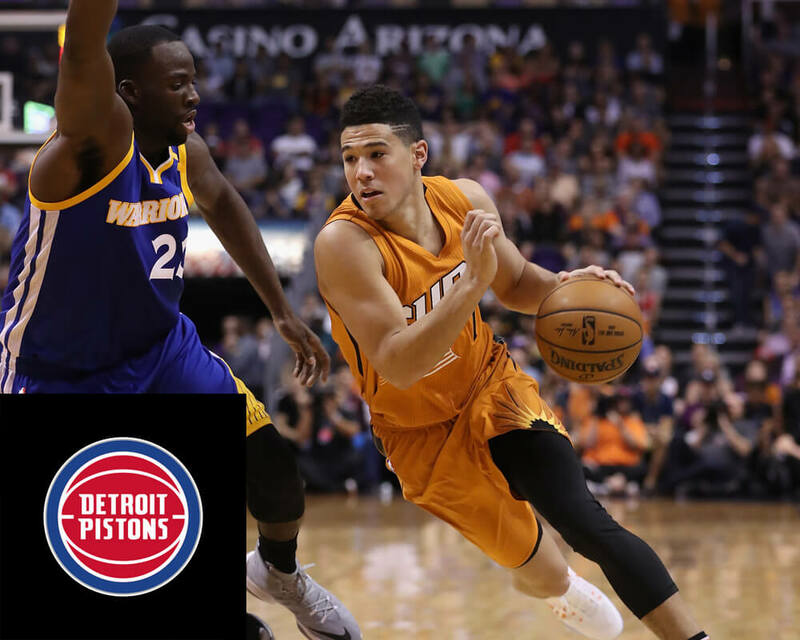 The Detroit Pistons have a connotation of toughness attached to them ever since the days of Michael Jordan. Maybe it’s due to the actual city being known to produce some tough public figures, but nonetheless, things wouldn’t change with their hometown players. If you haven’t heard yet, Green used to kick people in their groin. Booker isn’t one to take lightly either. He may be young but he’s already making a name for his self as one of the toughest competitors. Kevin Durant alone is enough to make any team a good team. Then you add in the defense stopper Avery Bradley with slashing forward Rudy Gay and the Wizards would be a force to reckon with. The team the Wizards currently have is already pretty good with John Wall and Bradley Beal. It makes you wonder if the hometown kids could take down the true roster. That would be a good game to watch. Among all the teams on this list, the Brooklyn Nets real team is probably the worse off. They would cherish to have any of their hometown players come and hoop for them. Even if it were just Andre Drummond. Unfortunately, that won’t be happening anytime soon. However, having Kemba Walker and Drummond would drastically improve their team. It wouldn’t make them championship contenders, but at least they could sneak into the playoffs. There is no way a team that has LeBron James on its roster isn’t going to be good. It’s actually statistically proven. All he needs is good teammates around him. James with CJ McCollum alone would be an amazing duo. 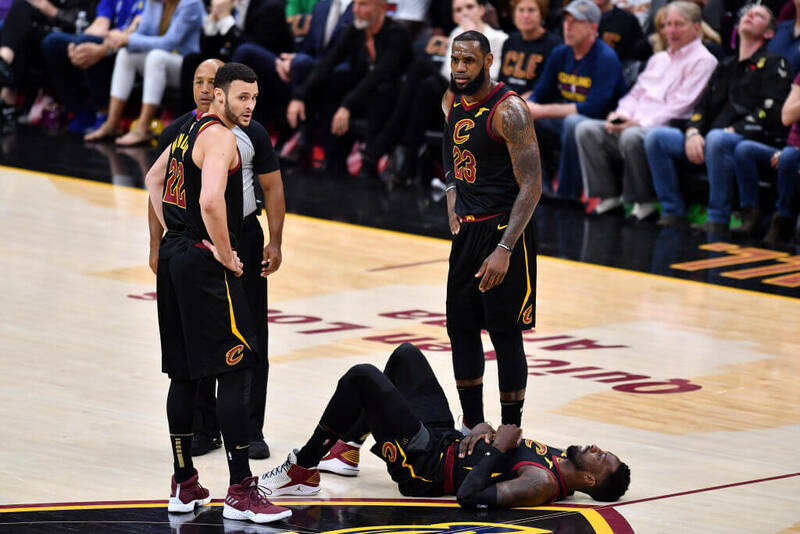 James has already played with Larry Nance Jr (left) and gone to the finals with him. The boys in Cleveland might be a lot to handle on the court if this were to happen. 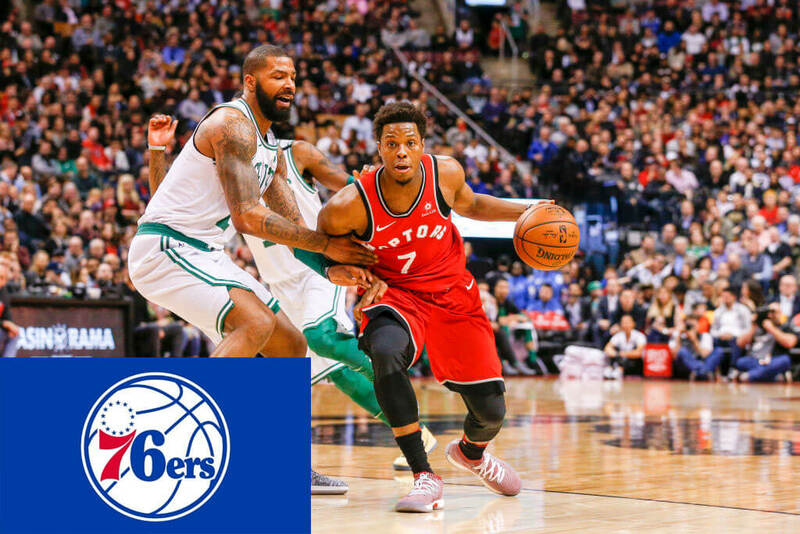 Before recently, the 76ers were the laughing stock of the NBA. After “trusting the process” and drafting some talented players, they have managed to climb their way back to near the top of the food chain. As a matter of fact, this hometown team would be a step backwards to what they have now. No disrespect to Kyle Lowry, but Joel Embiid and Ben Simmons are a nightmarish duo to try and defend for 48 minutes. Still, these Philadelphia natives would have some bite to them. Does anything else need to be said here? Those four names alone are able to beat a lot of current NBA teams. Curry is already a proven champion and Chris Paul has the most heart in the NBA if you ask his peers. This version of the Charlotte Hornets team would be the greatest team they’ve ever had on the court. 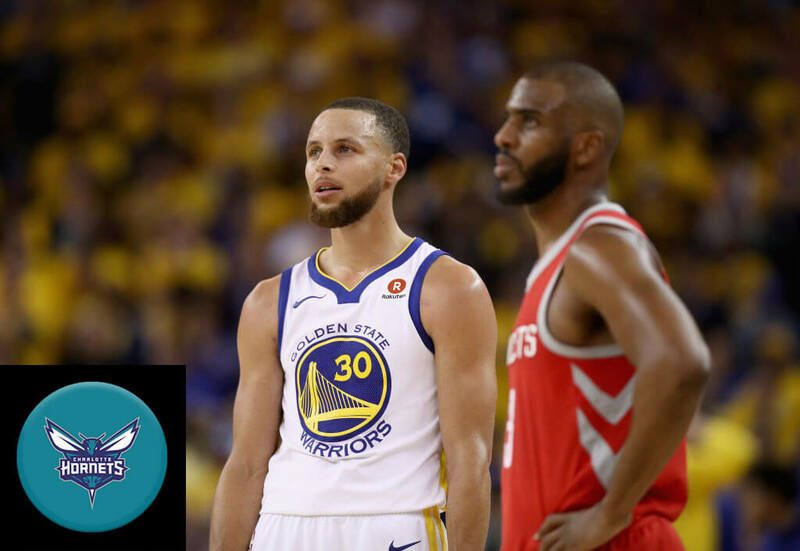 Curry has already vocalized he wants to be a Warrior until he retires, so don’t hold your breath Hornets fans. 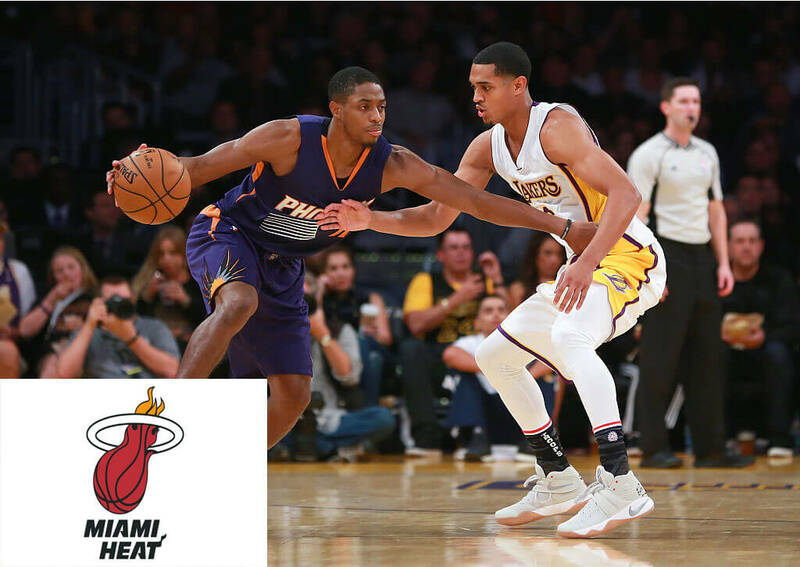 The Miami Heat as they are currently assembled are in pretty good shape. They don’t need much added to their roster to make them more of a complete ball club. Their hometown heroes wouldn’t be that bad as replacements. Brandon Knight knows how to score the basketball pretty well. 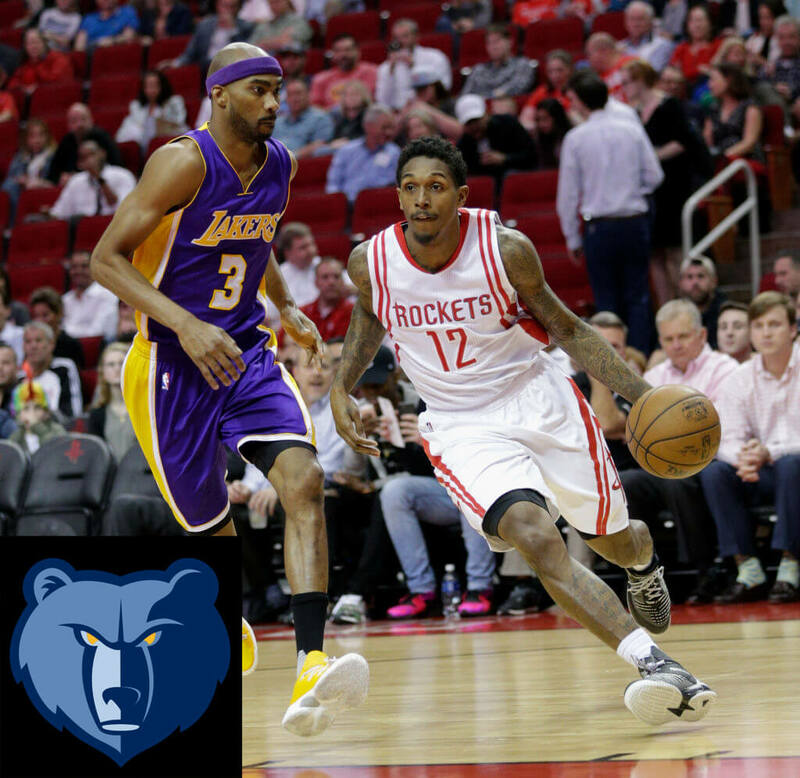 Trevor Ariza is an NBA champion and knows what it takes on the defensive side of the ball to win games. The Miami fan base wouldn’t be that upset with these guys. Let’s not act like Lou Williams isn’t a walking basket. If you don’t know who he is, he’s probably one of the most proficient scorers in the NBA right now. And Corey Brewer is a lesser version of him. So this team would be able to score the ball. Adding in one of the best shooters ever in JJ Redick only sweetens the deal. We’re not saying they’re going far into the playoffs with this team, but they would sure be exciting to watch during the regular season. Since their stacked team in the late ’90s and early 2000s, the Pacers have been a middle of the pack team for a decade. Swapping rosters with the hometown kids might be an improvement. 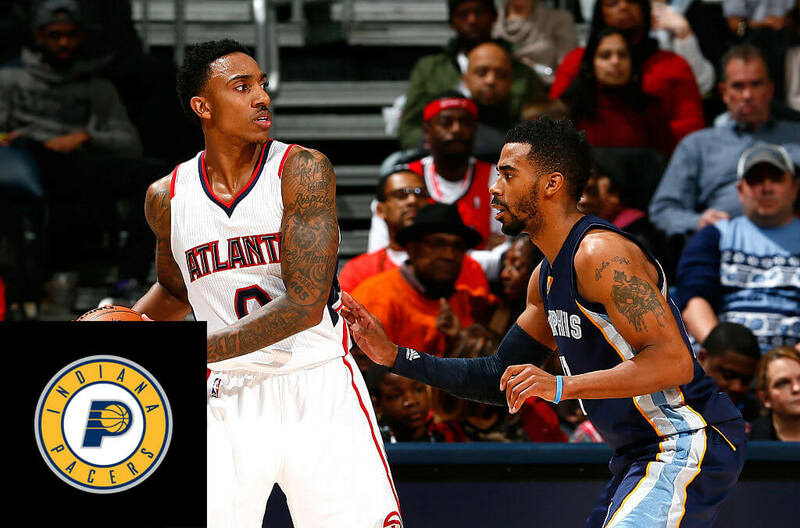 Gordon Hayward is a proven all-star, and so is Jeff Teague. Mike Conley at one point was the highest paid player in the NBA, you just never hear much about him. This wouldn’t be a bad team to call your favorite if you’re a Pacers fan. Due to the Pelicans being a relatively new franchise, we can’t judge them based on their past success. We can, however, look to the bright future they have with Anthony Davis as their anchor. The way their roster is currently set up, they would have no need for the hometown players. 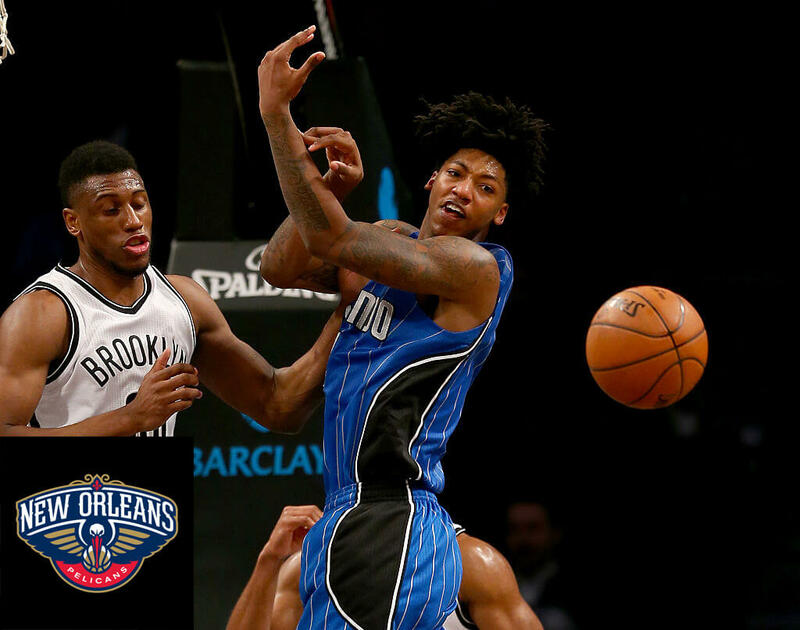 Elfrid Payton (right) has a lot of potential, but he is light years behind Davis. New Orleans fans would be irate if this became a reality. The Toronto Raptors have always been an interesting team. They never have been at the top of the food chain, but they still manage to hang around. 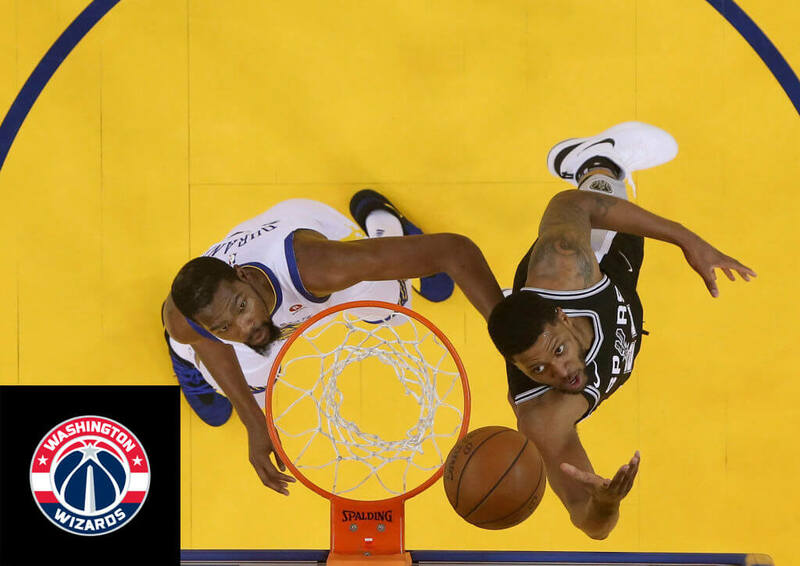 They’ve had tremendous players like Vince Carter, Tracy McGrady, and DeMar DeRozen. Their hometown players aren’t that bad either. Corey Joseph (left) has previously played on the Raptors before, so it wouldn’t be new to him. 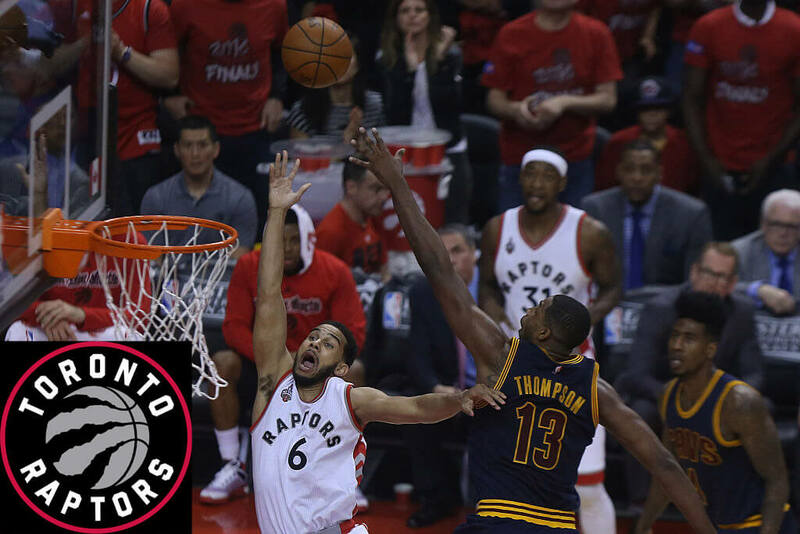 Khloe Kardashian would have a tough time keeping Tristan Thompson in check if he played in his home city. There was once a time when the Hawks were always a threat to win. Time went by and legends retired. Recently, they’ve been in rebuilding mode. 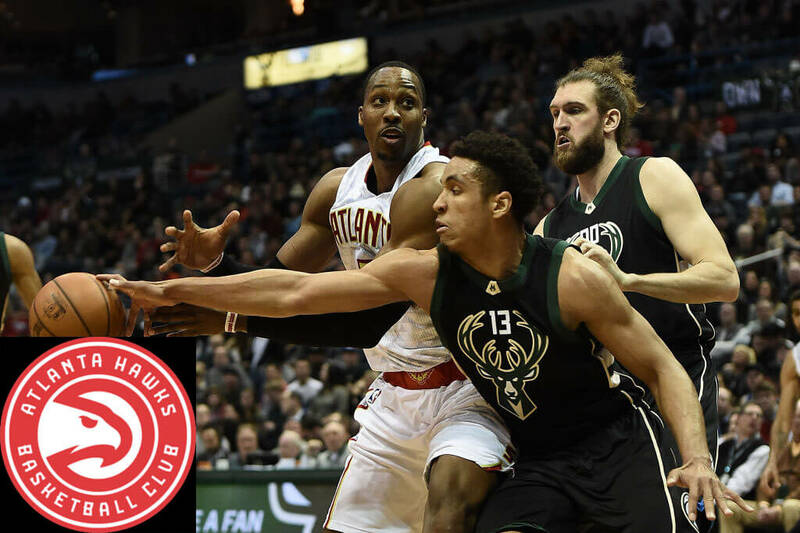 Boy, would they love to have Malcolm Brogdon (#13), a former Rookie of the Year, to build around. As you can tell by Dwight Howard’s jersey (left), he’s already been a Hawk. He didn’t have his best time out there, but he did put in a lot of effort. We don’t know what’s going to fix the Hawks outside of better players and smarter coaching. The Boston Celtics would never allow for their roster to become filled with garbage time players like these. GM Danny Ainge would rather cut off his own hand before becoming the worst team in the league. 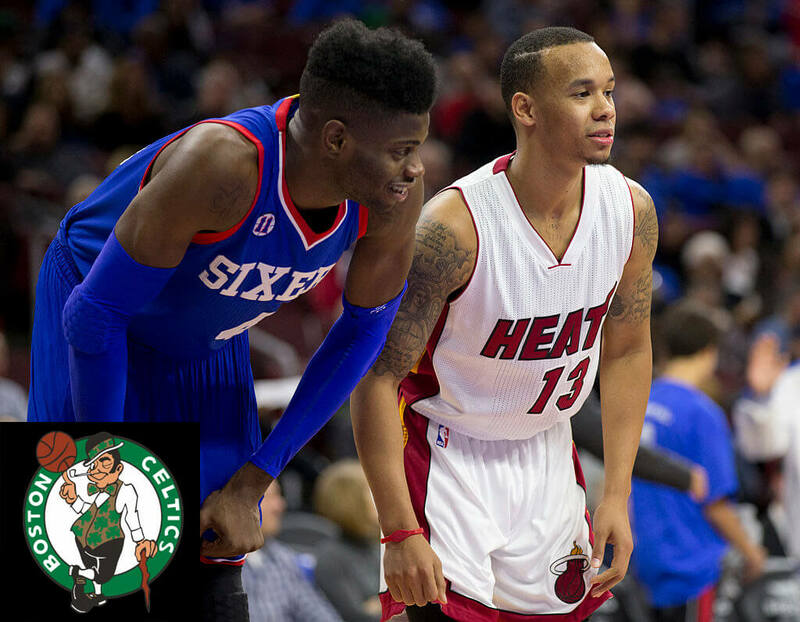 We’re not bad-mouthing players like Shabazz Napier (right) and Nerlens Noel (left), but if they’re your best options, then you have no options. They are, however, great backup and role players. Boston just doesn’t breed the right basketball talent it seems.